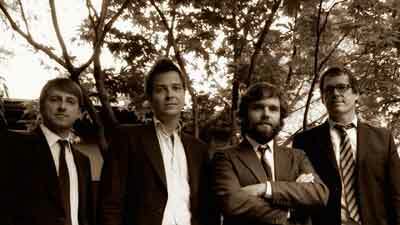 June 8 Chatham County Line Waiting Room Lounge, 6212 Maple Street 7:30 p.m., $15 ADV / $18 DOS, sundayroadhouse.com As far as contemporary bluegrass goes, you can hardly do better than Chatham County Line. The quartet draws their name from their home state of North Carolina, and the earthy, homespun music pays tribute to that heritage. Even newcomers to the genre will be drawn in to the soulful four-part harmonies, which soar over banjo, fiddle, mandolin, and guitar. The group manages to blend a timeless Americana sound in the Byrds/Band tradition with newer elements — some spacey pedal steel, or a lonesome organ. But the music isn’t all there is — main songwriter Dave Wilson’s evocative and thoughtful lyrics help set the band above their old-time cohorts.